We are impressed with 1QFY19’s results as growth levers came from unexpected sources - China and cruise operations. 88% of the revenue gain flowed through to the operating level, mainly due to strong operating leverage from cruise operations and higher food solutions contribution from China. SATS expects the trend to continue. We are also not unduly concerned about the termination of the MOU with Turkish Airways as there are other avenues of growth. Maintain BUY with a new higher target price of S$6.10. Above expectations; impressed with quality of growth. While net profit amounted to 25% of our and the street’s full year estimates respectively, SATS still surprised S$0.9m in operating profit in 1QFY19. improving food solutions revenue from China JV, Yihai Kerry as well as TFK Corporation. Were it not for the lower associate earnings, net profit growth would have been higher. ROE for the quarter improved to 3.8% or 0.3ppt. MOU with Turkish Airlines has been terminated. SATS indicated that this was partly because Turkish Airlines might have contractual obligations with the incumbent caterer. Improving contribution from the cruise handling business was a significant swing factor for the 10% growth in gateway services, post deconsolidation. SATS indicated that excluding the deconsoldation of SATS HK, gateway services revenue would have risen by 10%. This was mainly due to increased contribution from the cruise handling business. SATS managed to handle 3 ship calls daily instead of 2 previously. About half of the increase contributed about $2m in 1QFY19’s operating profit. Food solutions revenue was boosted by non-aviation segment’s revenue growth of 17%. This in turn was attributed to its 60%-owned, Yihai Kerry Kunshang JV, which provides consumer edible oils, rice, flour, milk, premix soups and powder etc. TFK’s revenue and profitability improved, but local inflight catering falters. The 3.1% top-line growth was underpinned by higher Chinese visitor arrivals. In Singapore, inflight catering revenue fell 3.1%, mainly due to pricing pressure. 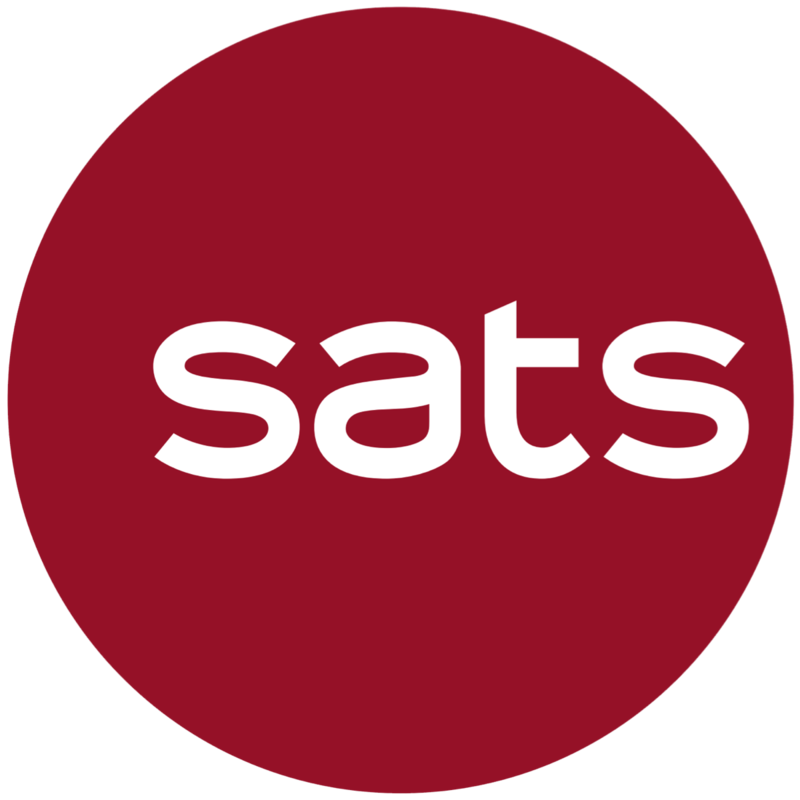 SATS indicated that they secured new contracts to serve Qantas. Associate income fell due to weaker contribution from Indonesian associates, PT JAS and CAS. SATS indicated that this was due to a weak operating environment in Indonesia but indicated that it saw higher contribution from its AirAsia ground handling JV, Hong Kong associate AAT and Air India SATS. Meanwhile, dividends from associates declined, but the firm guided that this was primarily due to timing of recognition. China will be a greater growth driver as would rising cruise ship calls in Singapore. SATS and YiHai Kerry, currently caters to over 1m clients and we believe there will be strong demand for safe and high quality food as consumers become discerning. SATS had also announced that it will be operating a second kitchen at Langfang. The city borders Tianjin and Beijing and will cater to restaurants in the region. We believe that growth prospects will be strong and we have raised our food solutions revenue forecast by 4.1% for FY19. Similarly, we have raised our gateway services revenue estimate by 3.9% due to greater optimism on cruise ship business. We raise our FY19-20 net profit estimates by 3.1% and 6.1%, following growth in gateway services and food solutions revenue. We have also assumed that the divestment of SATS-HK will be completed by mid-FY18 and this should lead to further cost savings. Maintain BUY and we raise our target price by 7% to S$6.10, following our revised earnings estimates. We continue to trade at 23x FY20F PE. Announcement of further expansion in China.